Our video production services include all aspects of video production, from planning your film through editing to helping you put your video online. We believe in making the process as easy as possible for our clients and things often begin with a friendly meeting to discuss your ideas and expectations. From that point on you can use our talents and experience in the most effective way to achieve your desired outcome. We combine talented individuals and professional equipment to achieve results that leave all our clients happy. Short films offer us all a fantastic way to see the world from someone else perspective. We have a lot of experience working with user-led organisations and we pride ourselves on articulating the voices of “real people” in many of the films we make. We understand that the budget to produce a film will often be tight. We will work with you and discuss your requirements to make sure that you get the most from your money. Although we are unable to provide a standard price list, We have tried to display a rough guide. 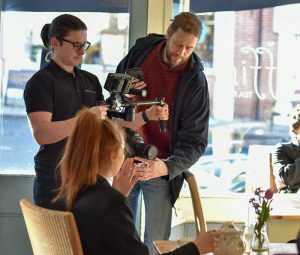 Regular clients may like to consider Flexi Film, an affordable way to spread the cost of film production, that allows you to use the time of a filmmaker flexibly and effectively and maximise the number of videos you can produce on a minimal budget.